The City Park is located at Broadway and Clay between 7th and 8th street. 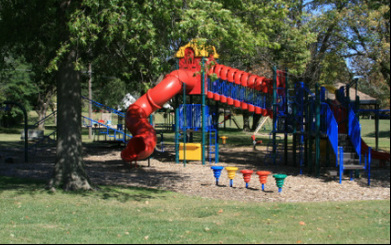 Playgrounds are located on both sides of the park with parking available on both Broadway and Clay Streets. 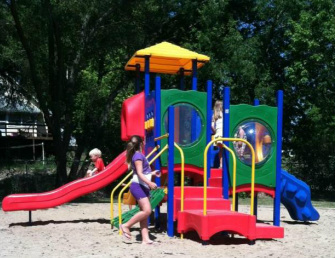 The smaller playground now has ADA approved surfacing. There is also a safety swing located near the small playground. 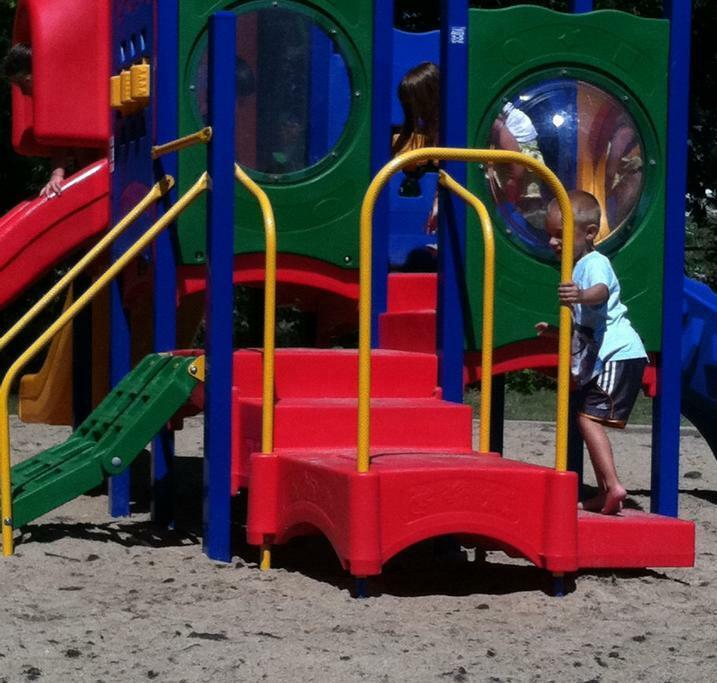 The Large playground and other equipment has new rubber ground cover. There are two large and three small picnic shelters located within the park. You can reserve a park shelter by contacting City Hall at 402-335-3570. There are two lighted tennis courts and basketball courts near Broadway on the east side of the creek which can be crossed by way of the walking bridge in the middle of the park. Pictured at right is one of the new basketball goals in the City park.